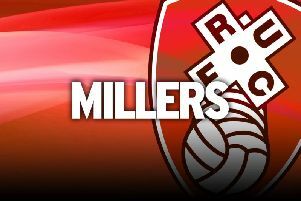 Rotherham United have completed the loan capture of Queens Park Rangers youngster Ryan Manning. The 22-year-old central midfielder joins the ranks at AESSEAL New York on a season-long loan deal from the Championship Hoops. Midfielder Manning, who will be unavailable for selection against his parent club, has made 41 appearances during his time at Loftus Road - but has played just 58 minutes of competitive football so far this season. Manager Paul Warne has been desperate to bolster his engine room all summer, with a number of permanent and loan deals have falling through during the chase to boost his options in the middle of the park. Will Vaulks and Matty Palmer have started both league games, whilst youngster Ben Wiles played alongside out-of-position defender Semi Ajayi in midweek. Irishman Manning, who has scored three times for the London club, is available for Saturday’s Yorkshire derby at Leeds United.